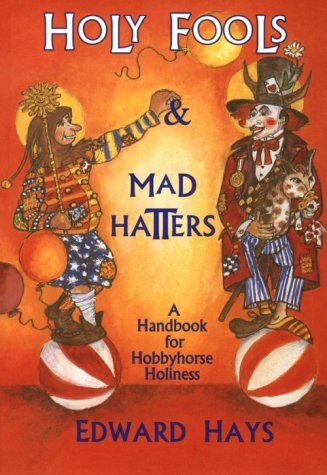 This handbook for a hobbyhorse holiness will turn upside down your ideas about holiness and spirituality—and it's guaranteed to entertain and enlighten in the process! As playfully as a court jester, Edward Hays flips end-over-end such solemn subjects as solitude and prayer, fair play, the hunger for miracles, the conventional pursuit of piety and the very question of life and death. Along with parables and stories that delight the soul, Holy Fools & Mad Hatters contains fourteen playfully illustrated essays with a host of innovative and effective practical exercises for inner-attainment to assist you along the pathway of a disciple. It is the Way which Jesus called "narrow," which the wisdom of the East adds is "as narrow as a razor's edge." Walking the razor's edge, as the author shows, requires the precise balance of a circus acrobat, along with the seeming vacation from reason of a Mad Hatter and the foolishness of God's great saints. As in St. George and the Dragon, Edward Hays challenges the reader to view religion, spirituality and the quest for holiness with fresh eyes and particularly in this book with mirth, mysticism and humor. Abundant delightful artwork makes this a hard book to put down.